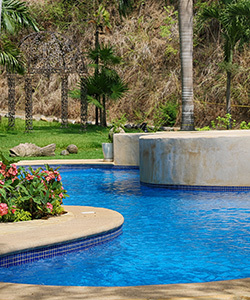 The owners of villas at Villa Amor shown on this website have gone above and beyond the necessary stocking of their villas to provide guest with everything they may need to enjoy the perfect Mexican vacation. The villas include: Free Daily Yoga, Balcony Lounge Chairs, Beach Chairs, Umbrella, Boogie-board, small Ice-Chest, and Beach Towels. In Room includes: Hair dryers, Drinking Water, Small Refrigerator, Microwave, Toaster, Blender, Coffee Maker along with Dishes, Silverware, etc.. We also provide upon request: Iron, Iron Board, Pack-n-Play and/or Foam Floor Bed for small children. What more do you need? 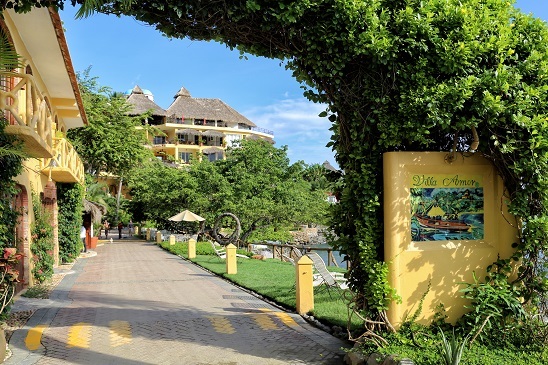 Simply strolling the beautiful grounds and gardens during your stay at Villa Amor can provide hours of soothing and relaxing personal time for you to rest and rejuvenate. Whether on the beach in front of the buildings, or somewhere on the giant manicured lawn out back next to our swimming pool, guests are always sure to discover a personal resting spot in either the sun or the shade. An incredible array of tropical plants and trees awaits discovery as well as the tropical birds providing their native calls in the mornings and evenings. Reward and pamper yourself by requesting a personal massage(s) in your private villa. 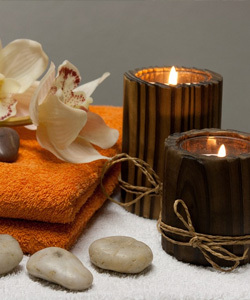 A variety of massages are available depending upon your personal desires and requirements. Massages can last anywhere from 30 minutes to two full hours. You can schedule a massage anytime by checking with our full-service property manager. If necessary a variety of additional masseuses practice their trade in Sayulita and will be more than happy to accommodate a personal visit to your private Villa Amor unit. Serving breakfast, lunch, and dinner in tropical fine-dining style, O Restaurant will amaze even the most discerning of palates. 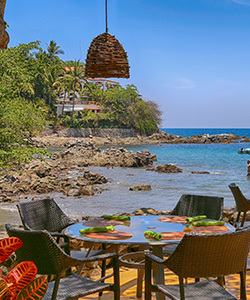 Located on the ground of Villa Amor, this restaurant is a favorite of guests and Sayulita locals alike. During breakfast, guest can watch fishermen returning from their early morning excursions. Evening dinners are served under the stars to the accompanying sound of lapping waves at your feet. Reservations are always highly recommended. 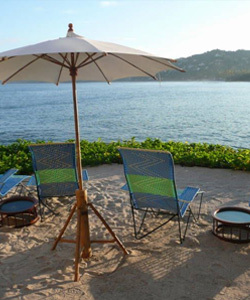 Add to your perfect Sayulita vacation by utilizing the services of our full-service property manager's highly knowledgeable and ever-accommodating concierge services (extra fees apply). Whether you need to arrange a fishing trip, private transportation, local guide, birthday/anniversary surprises or even a private dining experience, Our Property Managers and your Concierge will ensure everything is arranged with perfection. Due to the close proximity to the village of Sayulita (1/4 mile stroll along the beach) guests staying at Villa Amor will not find in necessary to rent a car. However, off-street parking is provided should guest elect to maintain a car nearby. 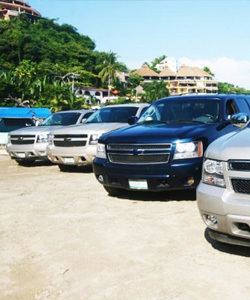 Please note that neither Villa Amor nor the individual unit owners are responsible for belongings left in vehicles. Guest are encouraged to remove all valuables from their automobiles. Surfboards are available for rent on the beach, just a short stroll away. 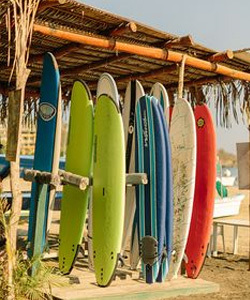 Sayulita surf shops and beach rentals offer an expansive quiver of boards ranging from longboards, shortboards, funboards, fish shapes, and even soft tops for the beginners or kids in your group. Daily and weekly rentals are available as are surf lessons and guided surf trips via boats or vans. Just ask!